Breaking Bad. Weeds. Boardwalk Empire. If we’ve learned anything from our favorite prime time cable shows, it’s that you can have the best smack on the block, but it’s worthless without a foolproof distribution system. 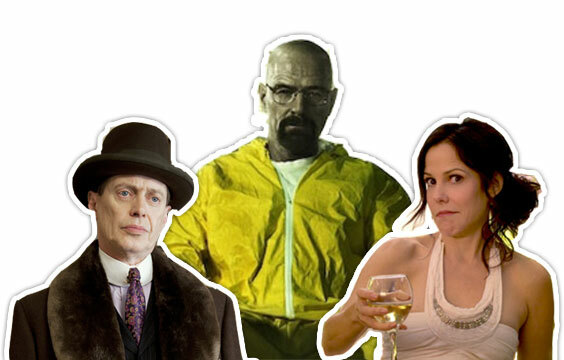 Walt, Nancy, and Nucky demonstrate time and again that access to the best product is only part of the equation. If you can’t unload it to the masses, you’ll end up being extinguished by the competition. The same is true for your content strategy. You can create addictive content that leaves your audience wanting more, but if you don’t have an efficient vehicle of delivery, you’re not going to reach the right prospects, and you won’t be able to drive sales. People. They can be so human sometimes. They get distracted. They procrastinate. They are quickly bored. They aren’t always suited for repetitive tasks. That’s why Henry Ford invented assembly line automation, and that’s why you need to automate the way content is delivered. Drip campaigns keep leads engaged. Lead scoring highlights the best opportunities. Automation allows your marketing team to stay creative instead of being bogged down with the administration of marketing campaigns. Today’s marketing teams don’t really on touchy-feely intuitions. They rely on cold hard facts to justify spend and receive support from management. But metrics are difficult to track without a process in place. Marketing automation provides a framework for insight into every sale, from where it originated to what influenced it into a new customer. If you can’t track opens, clicks and opt-ins, you can’t track valuable metrics and insights. With metrics in hand, you can easily spot glaring inefficiencies in your marketing program – like landing pages that don’t convert, wasted ad spend, and messaging that isn’t resonating with your customers. Once the biggest kinks in your marketing program are worked out, your team can continue to refine the little details that make a difference – like the color of your call to action links or the placement of your demo button. Most likely, you’re marketing a legit product that doesn’t require setting up a car wash, maternity shop or hotel front as part of your process. The front you do need to set up is marketing automation. Folding marketing automation into your marketing strategy allows you to efficiently distribute content, follow leads, track metrics, and rework your strategy to capture greater success.